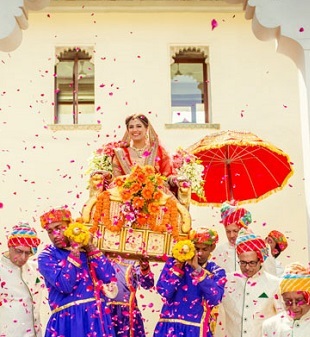 Destination wedding in India is quite a huge affair. Nowadays, so many people want to have a grand wedding, away from all the hustle and bustle of city life. Thankfully, India is a blend of some exotic and beautiful places. But, to make your special day more special and memorable for a lifetime, you need to choose the best destination that would be worth getting married at. Be it a royal wedding in Udaipur or Rajasthan, or a romantic wedding against the backdrop of Taj Mahal- ‘The Symbol of Love’, or a relaxed beachside wedding in Goa or Kerala options are plenty. 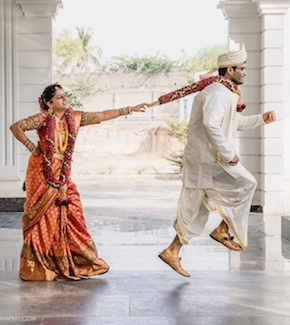 So, here are some places for a destination wedding in India to tie the knot. You can choose the one which you like the best. 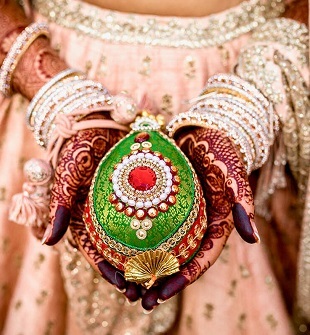 Udaipur is the most exotic place for a destination wedding in India. Also known as ‘ Venice of the East’. It is rich in culture, heritage, and architectural magnificence. It is surrounded by four lakes on all sides. Udaipur is a beautiful and exotic place; making it one of the most romantic city which will leave you mesmerized. The Leela, The Taj Lake Palace, and The Trident are some of the best options for performing a wedding ceremony. The architecture of the city perfectly blends innovation with the tradition. Some of the fort locations are Devi Garh, Manek Chowk, Oberoi Udaivilas, Durbar Hall at Fateh Prakash Palace, and much more. Goa is undoubtedly a great choice when it comes to tying the knot. Surrounded by palm trees, beaches, and Portuguese music, Goa offers you a fairy tale wedding experience. It offers you a chance to live your dreams in real life. Goa provides with a lot of options to choose from. You can choose from a beach wedding, a garden wedding or a sunset wedding. It is advisable and best to hire a wedding planner to plan the ceremony or use the wedding planning services provided by many five star hotels to their patrons. Some of the popular venues include The Taj Exotica, The Leela and the Turiya Villa and Spa. It is a good idea to book your wedding venue in advance as Goa remains a very popular beach wedding destination. Also, please note that beach weddings require a permit, which your wedding planner or hotel can help you get. Kerala is also known as ‘God’s own country’. Kerala has many exotic locations for holding a destination wedding. Destination weddings occur mainly in the central districts of the state – Kochi, Alappuzha, Kottayam – to mention a few wedding destinations. Beach weddings, bay water weddings, palace weddings happen at many destinations in Kerala. These destination weddings have the complete grandeur of a lavish ceremony, clubbed with special incentives for sight-seeing in Kerala. If you want a beach wedding then The Leela in Kovalam is a great venue. Looking at doing something different? In that case, you can opt for an elephant theme wedding, in which the groom rides into the venue on the back of an elephant! You can also choose a traditional Malayalee wedding ceremony, complete with food served on a plantain leaf and a classical dance performance by a local troupe. Surrounded by the azure waters of the Bay of Bengal, the Andamans Islands are the perfect venue for true romantics to tie the knot. Choose between a beach wedding, a resort wedding, or a high adrenalin adventure wedding on a speedboat, or even while swimming with elephants in the sea! The Havelock Islands are a popular wedding venue in the Andamans, and hotels and resorts like Barefoot at Havelock can help you plan your wedding- right from arranging the wedding ceremony, to caterers, florists, and decorators. The splendid Himalayas cuddle up to this delightful city that’s both conventional and contemporary. It’s like getting married in the mountains or taking a leap by planning the ceremonies in forest guest houses or camps by the river. Shimla allures those who love the mountains and the snow and fantasize of having a Destination wedding in the Himalayas. Doesn’t it sound romantic? Hence, weddings in India are always bigger than life affairs. To celebrate such a grand event, one truly needs a unique location to make the very day memorable for a lifetime. 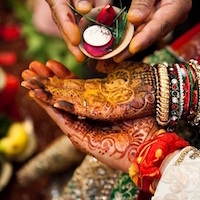 India is full of exotic wedding destinations and so people celebrate their marriage day in different style. They choose their favourite destinations and make their special day more memorable. So, these were some of the options for a destination wedding in India to choose from. What are you thinking of? Do not wait for and start planning and organizing your wedding at these wonderful destinations.